While the Echo Express III-D - Thunderbolt 3 Edition features a 40 Gbps Thunderbolt 3 interface, some computers equipped with Thunderbolt 3 use an implementation of Thunderbolt 3 technology that limits PCIe performance to 20 Gbps. The MacBook Pro (13-inch, Late 2016, Four Thunderbolt 3 Ports) has this limitation in the two right-hand Thunderbolt 3 ports, while offering full performance from the left-hand ports. 1-meter Thunderbolt 3 (40Gbps) cable is not compatible with ThunderLok 3. For pros working in the creative fields, a computer’s processing power alone is not enough to get the job done. A prime example is the latest MacBook Pro®, which, while offering great performance, lacks the PCIe expansion slots necessary to support specialty cards that connect pro video and audio inputs, transcode data, and connect to high-speed storage and networks. Instead of slots, these computers include ultra high-performance Thunderbolt 3 ports to support peripherals. Sonnet’s Echo Express III-D - Thunderbolt 3 Edition leverages the Thunderbolt 3 ports’ PCIe data to connect PCIe expansion slots outside of a computer. This desktop Thunderbolt-to-PCIe card expansion system enables you to connect three professional PCIe cards - including video capture, audio interface, SAS or SATA HBA, 16Gb or 8Gb Fibre Channel, 10 Gigabit Ethernet, and RAID controllers - at the same time to any Mac with a Thunderbolt 3 port. The Echo Express III-D - Thunderbolt 3 Edition features a 40Gbps Thunderbolt 3 interface, which offers double the PCIe bandwidth and connectivity of Thunderbolt 2, and yields up to 2750 MB/s of bandwidth, enabling it to support 4K video capture and processing cards at high frame rates, and 16Gb FC cards and dual-port 10GbE cards at full performance(1)(2). With the ability to handle multiple demanding, high performance PCIe cards, support for connecting two 4K displays @ 60Hz or one 5K display @ 60Hz(3), and support for a vast array of Thunderbolt(4) and USB(5) devices, Thunderbolt 3 is a leap forward in every way. Sonnet’s Echo Express III-D - Thunderbolt 3 Edition supports three full-size PCIe cards, up to 12.28 inches (full-length) long. The III-D integrates a universal 300W power supply and includes a 75W PCIe power connector for cards that require supplementary power, such as the Avid® Pro Tools|HDX or the RED® ROCKET-X. The Echo Express III-D - Thunderbolt 3 Edition includes two Thunderbolt 3 (USB-C) ports; the first is used for connection to your computer, while the second supports daisy chaining of up to five additional Thunderbolt peripheral devices to a single port on your computer(4). The III-D includes 10Gbps USB 3.1 Gen 2 support, meaning you can connect a USB device to the second port using the proper cable or adapter. The III-D also provides full support for connecting two 4K displays @ 60Hz or one 5K display @ 60Hz(3). For connected devices requiring extra power, 15 watts is provided to connected bus-powered devices. The Echo Express III-D - Thunderbolt 3 Edition is wrapped in a rugged, yet lightweight aluminum outer shell, resulting in a system light enough to carry without weighing you down, yet sturdy enough to securely protect the installed PCIe cards. 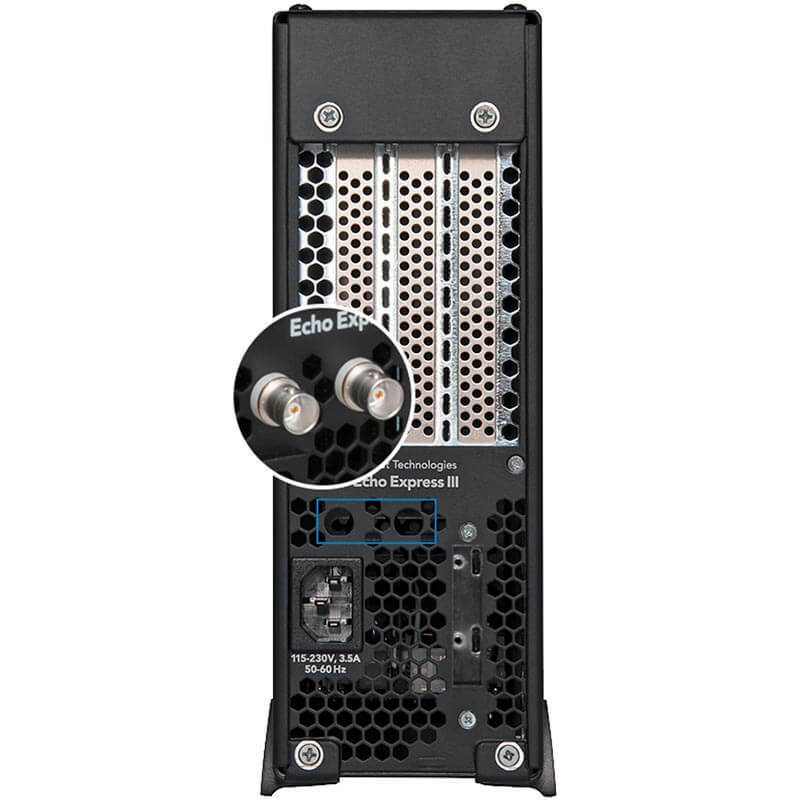 In operation, the Echo Express III-D - Thunderbolt 3 Edition is remarkably quiet—it may be comfortably used in noise-sensitive environments, and it is one of the quietest Echo systems. The natural convection of warm air through the PCIe cards is assisted by ultra-quiet, temperature-controlled, variable-speed fans, and vented out the top of the chassis with reduced air velocity and turbulence, resulting in little fan noise. 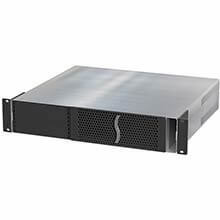 Sonnet designed the Echo Express III-D - Thunderbolt 3 Edition to accommodate the RED ROCKET or RED ROCKET-X and its BNC connector bracket (for HD-SDI output) card/bracket pair in a single slot. This Echo chassis includes two BNC connector mounting holes, enabling the installation of the card in one slot and its BNC connectors in the chassis’ mounting holes, leaving the two remaining slots open. To connect the Echo Express III-D - Thunderbolt 3 Edition to your computer, Sonnet includes a 1.0-meter Thunderbolt 3 (40Gbps) cable. At the 2018 NAB Show, Sonnet will showcase its new eGFX Breakaway™ Box 650, a Thunderbolt™ 3 to eGPU PCI Express® (PCIe®) card expansion system designed and qualified specifically for large, power-hungry video graphics processing unit (GPU) cards, including the AMD Radeon™ RX Vega 64, Radeon Pro WX 9100, 9100 SSG and overclocked NVIDIA® GeForce® GTX 10 series-based cards. The 650 model enables the use of all GPU cards that support connecting to a computer over Thunderbolt — such as AMD Radeon R9, RX, RX Vega, and Pro WX models and NVIDIA GeForce GTX 9 and 10 series, Titan X and Xp, and Quadro® models — with Thunderbolt 3-equipped computers, providing GPU support for computationally intensive applications and games. (Lists of supported computers and GPU cards are available at www.sonnettech.com/product/egfx-breakaway-box.html). 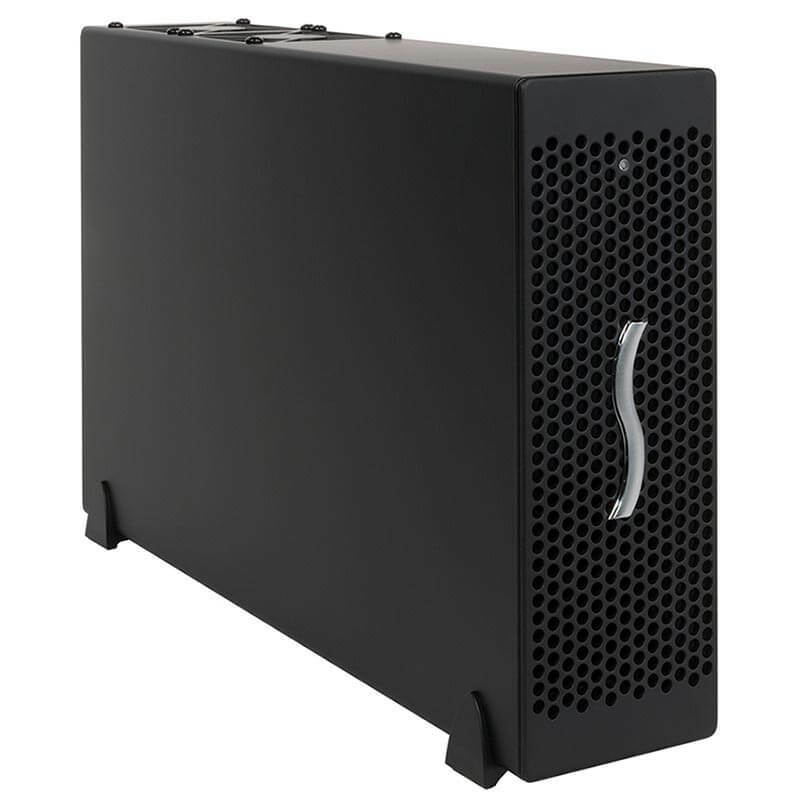 NEW: Thunderbolt™ 3 External Graphics (eGPU) SolutionsAt BVE 2018, Sonnet will showcase its new eGFX Breakaway™ Box 650, a Thunderbolt™ 3 to eGPU PCI Express® (PCIe®) card expansion system designed and qualified specifically for large, power-hungry video graphics processing unit (GPU) cards, including the AMD Radeon™ RX Vega 64 and overclocked NVIDIA® GeForce® GTX 10 series-based cards. The 650 model enables the use of all GPU cards that support connecting to a computer over Thunderbolt — such as AMD Radeon R9, RX, RX Vega, and Pro WX models and NVIDIA GeForce GTX 9 and 10 series, Titan X and Xp, and Quadro® models — with Thunderbolt 3-equipped computers, providing GPU support for computationally intensive applications and games. (Lists of supported computers and GPU cards are available at www.sonnettech.com/product/egfx-breakaway-box.html). Mac®- and Windows®-compatible, the new Sonnet system is the coolest and quietest eGFX box on the market, with a built-in, variable-speed, temperature-controlled fan that quietly and effectively cools the installed card. Both Desktop and Rackmount Versions of Three-Slot Expansion Chassis Now Provide 2750 MB/s of PCI Express® Bandwidth via Thunderbolt 3 Interface Sonnet Technologies today announced that its Echo™ Express III-D (desktop) and Echo Express III-R (rackmount) Thunderbolt™-to-PCI Express® (PCIe®) three-slot expansion chassis are now shipping with full support for Thunderbolt 3.